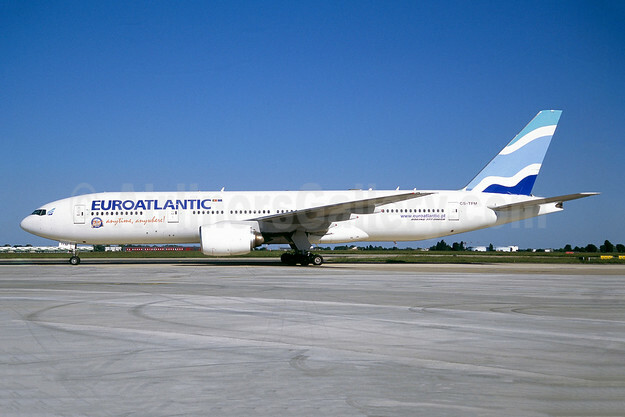 EuroAtlantic Airways is celebrating 25 years of flying. As a result it has painted its first aircraft (the pictured CS-TFM) in a revised livery. Copyright Photo: EuroAtlantic Airways Boeing 777-212 ER CS-TFM (msn 28513) ORY (Jacques Guillem). Image: 941974. This entry was posted in euroAtlantic Airways and tagged Boeing 777-212 ER, CS-TFM, euroAtlantic Airways, msn 28513 on May 21, 2018 by Bruce Drum. Norwegian Air Shuttle will wet lease Boeing 777-200s from EuroAtlantic Airways for the Paris (Orly) – Newark route and Privilege Style for the Rome (Fiumicino) – Newark route this summer according to Airline Route. 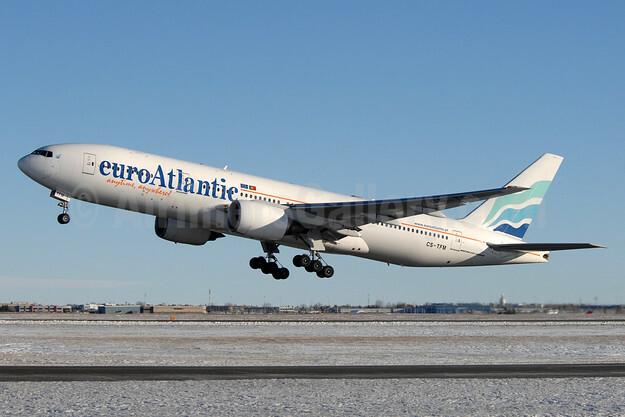 Top Copyright Photo: EuroAtlantic Airways Boeing 777-212 ER CS-TFM (msn 28513) YYC (Chris Sands). Image: 933294. 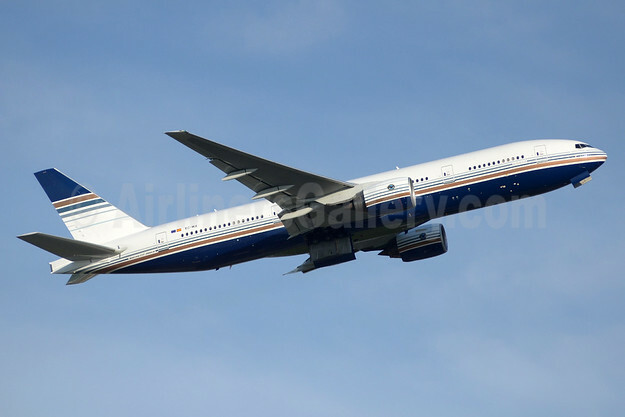 Bottom Copyright Photo: Privilege Style Lineas Aereas Boeing 777-28E ER EC-MIA (msn 28685) YYZ (TMK Photography). Image: 933584. This entry was posted in euroAtlantic Airways, Norwegian Air Norway, Privilege Style Lineas Aereas and tagged Boeing 777-212 ER, Boeing 777-28E ER, CS-TFM, EC-MIA, euroAtlantic Airways, msn 28513, msn 28685, Privilege Style Lineas Aereas on May 4, 2018 by Bruce Drum.